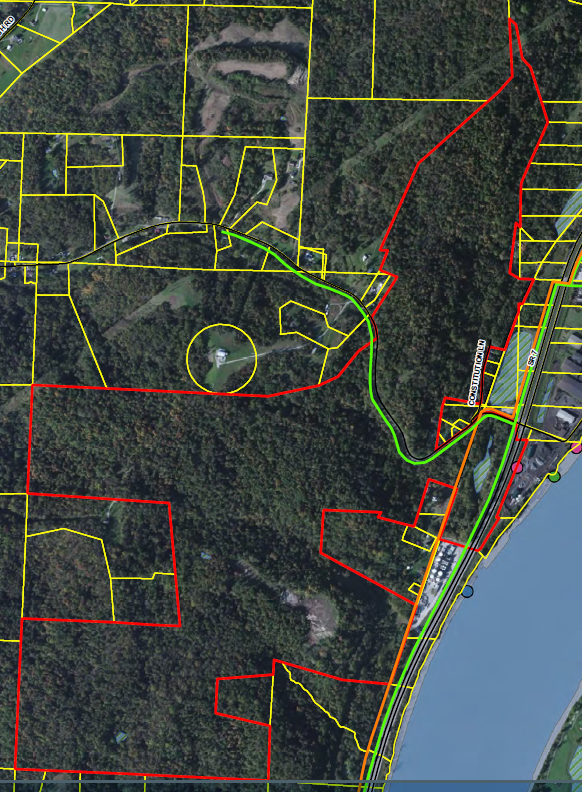 This approximately 350-acre site consists of undeveloped land and is available as a whole or may be subdivided. 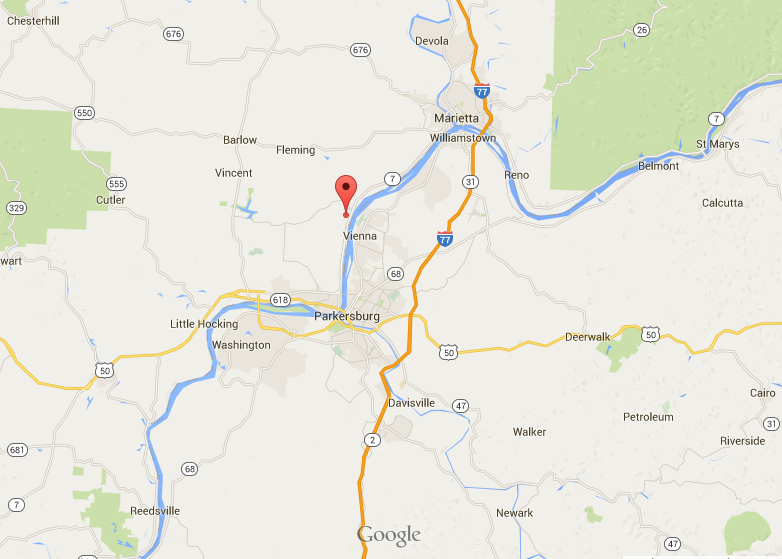 The property has potential access to rail and is near the Ohio River. The Wetz Constitution topography is hilly with options for terraced site layout and has some access roads present. The Wetz Constitution topography is hilly with options for terraced site layout and has some access roads present. According USDA NRCS, there were several soil types mapped for the site. The two soil types that were dominant are Upshur-Gilpin complex (UsF – 65.5 acres, 14.7 percent of the site) and the Upshur association (UTG – 92.5 acres, 20.7 percent of the site). According to the FEMA FIRM 390566 FIRMette, the site is located in three Flood Zones, two labeled as AE, which have two different distinctions due to the location of the Ohio River south of the site. Zone AE furthest away from the Ohio River is described as a Special Flood Hazard Area that is subject to inundation by the 1 percent annual chance of flood. Zone AE has base flood elevations determined. The third zone, Zone X, is defined as areas of 0.2 percent annual chance of flood. The USFWS NWI map for the Wetz Constitution Site shows three wetland areas mostly on the south and east portion of the site. The first, located on the southwest portion is a Freshwater Emergent Wetland (PEM1Fh – Palustrine, Emergent, Persistent, Semi permanently Flooded, Diked/Impounded) totaling 0.22 acres. The second is located in the central portion of the site and is a Freshwater Pond (PUBGh – Palustrine, Unconsolidated Bottom, Intermittently Exposed, Diked/Impounded) totaling 0.10 acres. The third is along the eastern boundary near SR 7 and is a Freshwater Emergent Wetland (PEM1C – Palustrine, Emergent, Persistent, Seasonally Flooded) and totals 1.15 acres. The primary vehicular access to the site is from Ohio SR 7. It is a four-lane road and there is good visibility for motorists turning into the site or out onto Ohio SR 7. The site can be accessed by a secondary road, Township Route 3/Veto Road. This secondary road is located along the northern boundary of the site and it is paved asphalt in good condition. This site is located 11 miles from Interstate 77. A CSX Railroad rail line is located along the eastern border of the site. Negotiations with the CSX Company would be required in order to determine the feasibility of developing a spur into the site. 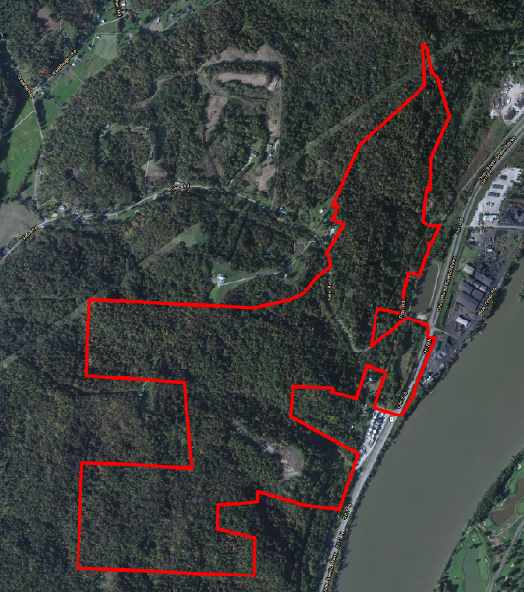 A portion of this site’s property crosses Ohio SR 7 and does access the Ohio River. An access permit does not currently exist. 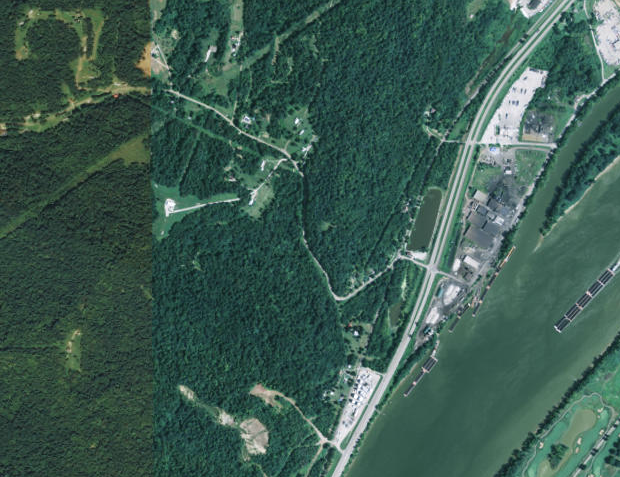 The width of the portion of the site that accesses the Ohio River is reasonable narrow and is restricted by Ohio SR 7. Vehicular access for the area would have to be negotiated with ODOT. The Mid-Ohio Valley Regional Airport is located 20 miles from the site, and the Port Columbus Airport is located 110 miles from this site. Gas service is provided by Dominion East Ohio Gas Company. A 6-inch diameter gas line exists along the east side of SR 7. The estimated pressure is 100 pounds per square inch (psi). Currently the electric service is provided by AEP. AEP 138kV is located at the north and northwest corners of site and 12kV is on site and along State Route 7. No potable water service is currently available at the site. The water provider for this general area is Warren Community Water and they indicate they would need to upgrade their water service in the area in order to be able to supply water to the site. Also, possibly there are plans for The Warren Community Water service and the City of Belpre to join their respective water service lines in the vicinity of the project site. Currently there is no public sanitary sewer service and a septic system is being used for the existing facilities. A public sanitary sewer service extension project is currently being planned and will connect to the City of Belpre. Currently the storm drainage sheet flows into ravines and swales, which drain into the Ohio River.